1. Is there a need for DOT Approval? 2. Can NHTSA tell whether my vehicle is conforming? Motor vehicle manufacturers are not required to submit to NHTSA, and do not submit to NHTSA, information on whether any particular vehicle they manufacture has been manufactured to comply with all applicable Federal motor vehicle safety (and, where applicable, bumper and theft prevention) standards. Moreover, there is no way for NHTSA to discern, from the VIN that has been assigned to a vehicle, or from any other identifying characteristic, whether the vehicle was originally manufactured to comply with all applicable standards. The only way that NHTSA could tell whether a given vehicle has been so manufactured is if the manufacturer has affixed a label to the vehicle certifying its compliance with all applicable standards. If you are unable to find a certification label on a particular vehicle, and are interested in learning whether the vehicle was originally manufactured to comply with all applicable standards, you should contact the vehicle's manufacturer. A list of manufacturer contacts can be found on NHTSA's website at http://www.nhtsa.dot.gov/cars/rules/import/. 3. Importing a conforming vs. a non-conforming vehicle. An additional requirement for the lawful importation of a nonconforming vehicle is that it be imported by a registered importer (RI) or by an individual who has contracted with an RI to bring the vehicle into conformity with all applicable FMVSS. A bond in an amount equivalent to 150 percent of the declared value of the vehicle must be given at the time of importation to ensure that the necessary modifications are completed within 120 days of entry. A list of RI's can be found on our web site at http://www.nhtsa.dot.gov/cars/rules/import/. You might want to contact one or more of the listed RIs to obtain their opinion on the feasibility of conforming the vehicle that you seek to import to the FMVSS, and the costs involved in petitioning the agency to determine that vehicle to be eligible for importation, as well as the costs for conforming the vehicle to the FMVSS. 4. Importing a vehicle already determined eligible for importation. NHTSA makes import eligibility decisions on a make, model, and model year basis. A list of vehicles that NHTSA has determined to be eligible for importation can be found on our web site at http://www.nhtsa.dot.gov/cars/rules/import/. If the vehicle you are seeking to import is of a make, model, and model year that is on that list, it can be imported by an RI, or by a person who has a contract with an RI to modify the vehicle so that it conforms to all applicable FMVSS and bumper standards after importation. At the time that NHTSA determines a vehicle of a particular make, model, and model year to be eligible for importation, the agency assigns the vehicle a unique vehicle eligibility number. That number is to be entered on the appropriate block of the HS-7 Declaration form that is to be given to Customs at the time of importation. The number alerts Customs to the fact that the vehicle can be lawfully imported (by an RI or by a person who has a contract with an RI to modify the vehicle), even though the vehicle was not originally manufactured to comply with all applicable FMVSS. 5. Importing a Canadian-certified vehicle; need for automatic restraints. 6. Re-importing a U.S.-certified vehicle. If a vehicle now outside the U.S. bears a certification label affixed by its original manufacturer stating that the vehicle complies with all applicable FMVSS in effect on its date of manufacture, it can be imported as a conforming motor vehicle under Box 2A on the HS-7 Declaration form that must be given to Customs at the time of entry. You can download a copy of that form from our website at http://www.nhtsa.dot.gov/cars/rules/import. 7. Re-importing a U.S.-certified vehicle missing its certification label. If your vehicle was originally manufactured to comply with all applicable FMVSS, and was so certified by its original manufacturer, it can be lawfully imported as a conforming motor vehicle under Box 2A on the HS-7 Declaration form to be given to Customs at the time of entry. If the vehicle is missing its certification label, it can still be imported as a conforming motor vehicle, provided you obtain a letter from the vehicle’s manufacturer stating that the vehicle was originally manufactured to comply with all applicable FMVSS. A list of manufacturer contacts is on our website at http://www.nhtsa.dot.gov/cars/rules/import/. If the manufacturer is unable or unwilling to supply you with a letter stating that your vehicle was originally manufactured to meet all applicable FMVSS, bumper, and theft prevention standards, we would be willing to issue you a letter stating that we recognize your vehicle as having been so manufactured, provided you can furnish us with evidence (preferably in the form of a State-issued registration document) showing that the vehicle was registered in the U.S. before it was shipped overseas. If you do not have the vehicle’s prior registration documents, you can furnish us a report from a commercial VIN checking service (such as Carfax) that identifies the vehicle’s prior registration history and shows that the vehicle was once registered in the U.S. If you have such evidence, you should fax it to the Imports and Certification Division at 202-366-1024. 8. 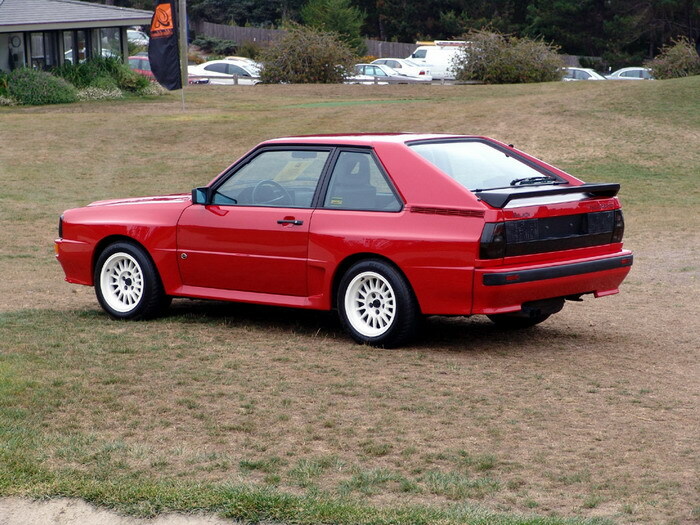 Importing a vehicle that is at least 25 years old. A motor vehicle that is at least 25 years old can be lawfully imported into the U.S. without regard to whether it complies with all applicable FMVSS. Such a vehicle would be entered under Box 1 on the HS-7 Declaration form to be given to Customs at the time of importation. If you wish to see that form, you may download a copy from our website at www.nhtsa.dot.gov/cars/rules/import. 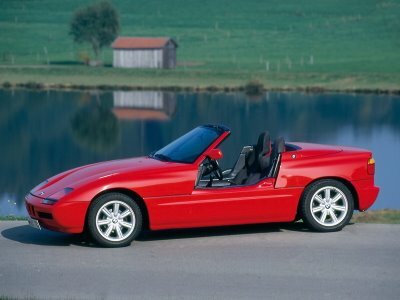 You should note that the 25 year period runs from the date of the vehicle's manufacture. If the date of manufacture is not identified on a label permanently affixed to the vehicle by its original manufacturer, to establish the age of the vehicle, you should have documentation available such as an invoice showing the date the vehicle was first sold or a registration document showing that the vehicle was registered at least 25 years ago. Absent such information, a statement from a recognized vehicle historical society identifying the age of the vehicle could be used. 9. Importing a vehicle for parts. 10. Importing a disassembled vehicle. 11. Importing a right-hand drive vehicle. 12. Importing a vehicle for show or display. Certain motor vehicles that are deemed to be of unusual historical or technological significance can be imported for purposes of show or display. Information on importing a motor vehicle for those purposes can be found on NHTSA’s website at http://www.nhtsa.dot.gov/cars/rules/import/ShowDisplay/. When a vehicle is imported for purposes of show or display, it cannot be driven in excess of 2,500 miles per year. As a general rule, a motor vehicle will not be determined eligible for importation for purposes of show or display if more than five hundred vehicles of the same model were produced, if a version of the vehicle was originally manufactured for sale in the U.S. and certified as complying with all applicable FMVSS, or if the vehicle has been determined eligible for importation based on its capability of being modified to comply with all applicable FMVSS. 13. Importation of an off-road vehicle. If the vehicle was not primarily manufactured for use on public streets, roads, and highways, it would not qualify as a "motor vehicle" that must comply with all applicable FMVSS, and bear a label certifying such compliance that is permanently affixed by its original manufacturer to be lawfully imported into the U.S. A vehicle that is not primarily manufactured for on-road use can be imported under Box 8 on the HS-7 Declaration form that is to be given to Customs at the time of entry. Such a vehicle is not subject to NHTSA’s jurisdiction, but may be subject to the jurisdiction of the Consumer Products Safety Commission (CPSC). For information on the requirements, if any, that apply to these vehicles, you should visit the CPSC’s website at http://www.cpsc.gov or contact that agency at 1-800-638-2772. 14. 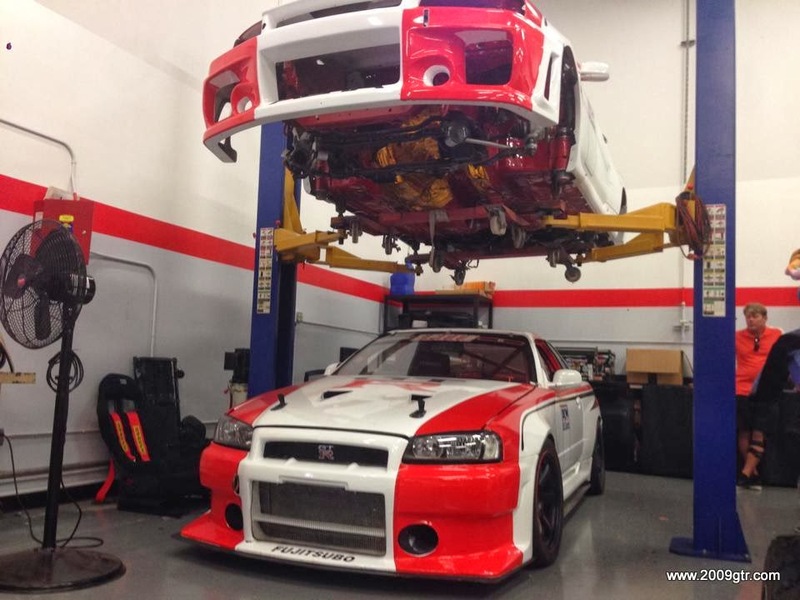 Importing a racing vehicle. Information on importing vehicles for racing purposes is available on NHTSA's website at http://www.nhtsa.dot.gov/cars/rules/import/racing. 15. Temporary importation by non-U.S. residents. 16. Temporary importation of a vehicle; expiration of temporary importation period. Motor vehicles that were not originally manufactured to conform to all applicable FMVSS may be temporarily imported into the U.S. for specified purposes, including research, investigations, demonstrations or training, or competitive racing events. Vehicles imported for those purposes are entered under Box 7 on the HS-7 Declaration form to be given to Customs at the time of importation. Unless the importer is a manufacturer of motor vehicles that are certified to the FMVSS, a NHTSA permission letter is needed to accomplish such an importation. Instructions and an application for obtaining a NHTSA permission letter are found on our website at http://www.nhtsa.dot.gov/cars/rules/import. Once the application is completed, it should be faxed to the Office of Vehicle Safety Compliance, Import and Certification Division at 202-366-1024. We grant approval for temporary importations under Box 7 in annual increments for up to three years if duty is not paid on the vehicle, or for up to five years if duty is paid. We are not averse to granting extensions to existing approvals if we receive a request in writing to do so, supported by a full explanation of why the extension is needed. Vehicles that are temporarily imported must be exported or destroyed upon the expiration of the period for which importation has been allowed. NHTSA does not regulate the exportation of vehicles from the U.S. We only regulate the importation of vehicles into this country. Therefore, we can offer no guidance on this subject. If you have a question regarding the exportation of a vehicle, you may want to direct that question to the Customs Director at the port through which you intend to ship the vehicle or visit http://www.customs.gov.